The RCMR is the most comprehensive coin collecting guide in the hobby and is trusted by collectors of all levels. 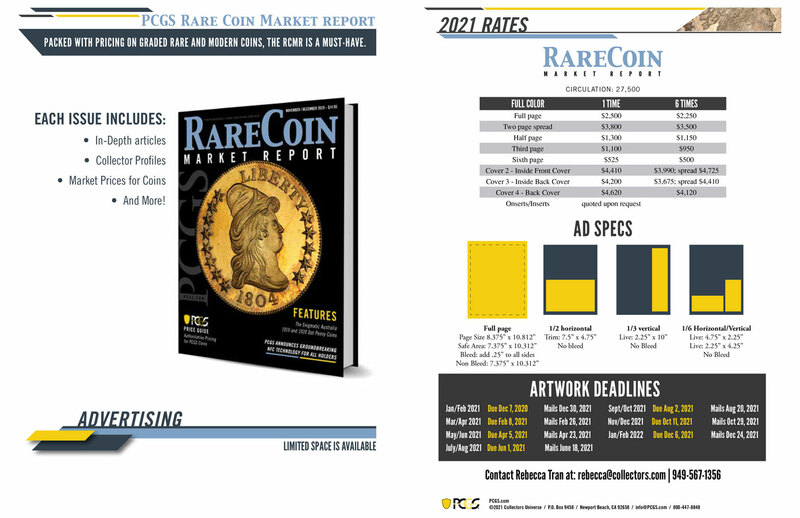 Each issue includes current pricing for rare and modern coins graded by PCGS. The pricing is developed by a leading team of numismatists who keep all prices current and reflective of the market. The RCMR also provides in-depth articles that spotlight top collections and collectors, keeping you current on the most interesting topics and trends in numismatics. Key contributors include David Hall, Ron Guth, Mike Sherman and Q. David Bowers. The RCMR provides information about upcoming shows, auctions, and promotions for the active collector. The best collectors know they have to make intelligent decisions using accurate and timely information on their valuable coins. Get one year subscription to RCMR and more! Choose from a single issue or one year subscription.